Happy First Day of Fall! Although I am sad to say goodbye to Summer I do love Fall and all the excitement it brings. There's just so much to look forward to: apple picking, pumpkin patches, the beautiful foliage, sweaters and boots, Halloween and Thanksgiving! 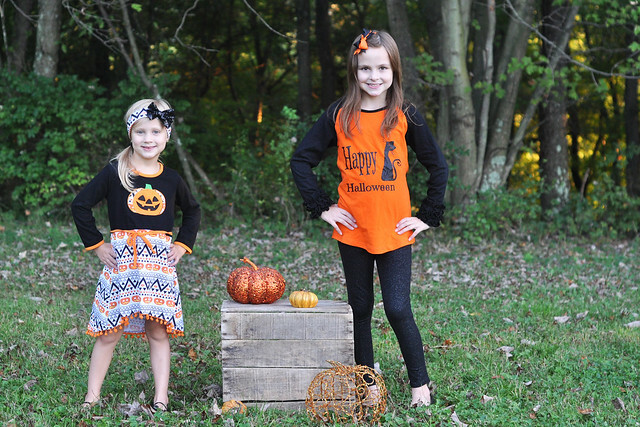 When Fall comes around I love to stock up on adorable seasonal outfits for my kids. 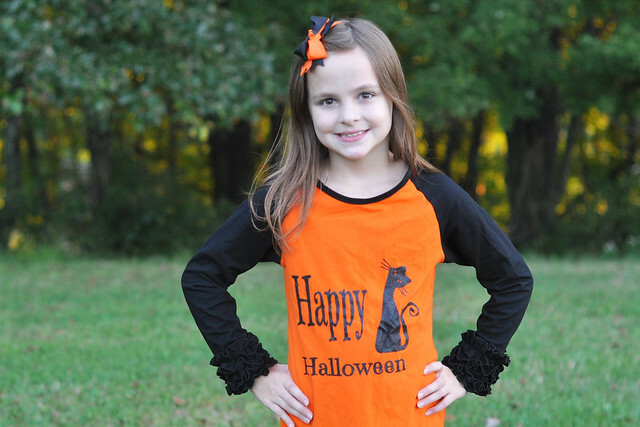 The holiday clothing and pajamas are just too cute to pass up! 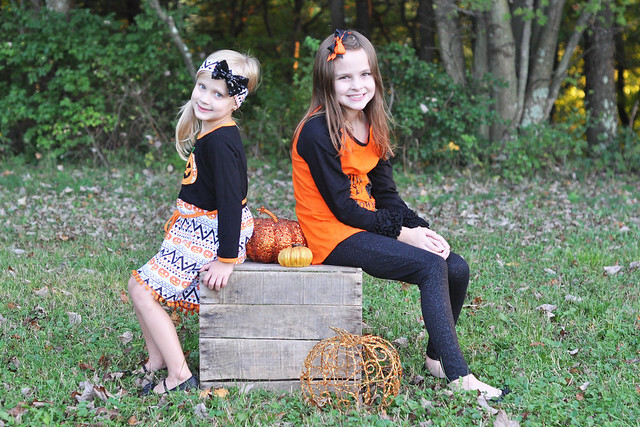 My absolute favorite place to buy children's boutique clothing online is The Hair Bow Company! I have been buying clothing from The Hair Bow Company since Lily was a baby and I loved watching their company grow over the years. Not only is their customer service top-notch every single time but their selection of cute and affordable clothing is unbeatable! They also have a special place in my heart because they participate in the Changing the Face of Beauty campaign by featuring models of ALL abilities including kids who are rocking an extra chromosome. I will ALWAYS back a company that cares about their customers. The selection of items is amazing year round but The Hair Bow Company really kicks it up a notch during the holidays. Now that Halloween is just over a month away it's time to prepare! 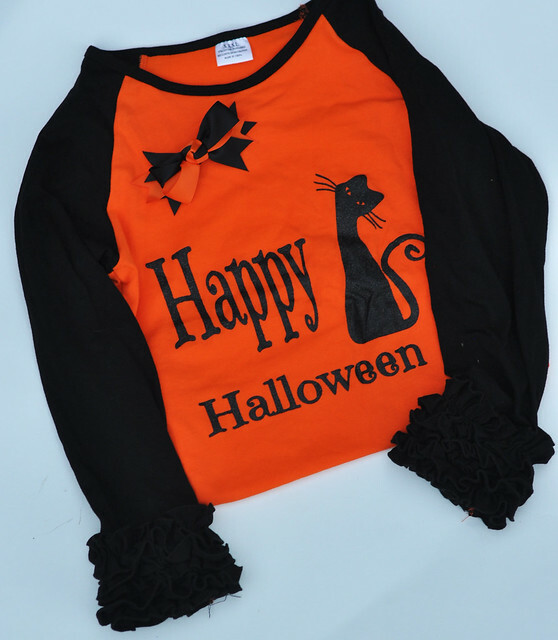 If you are looking for cute and unique Halloween outfits and accessories for your daughter(s) The Hair Bow Company has it all! 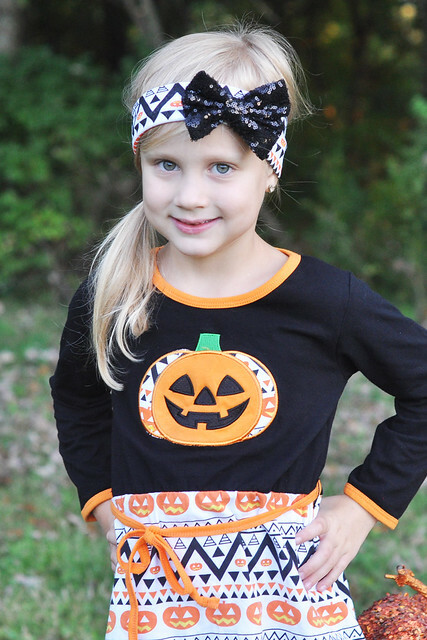 I am thrilled to team up with The Hair Bow Company to review a few of their Halloween items and offer a discount code to my readers! 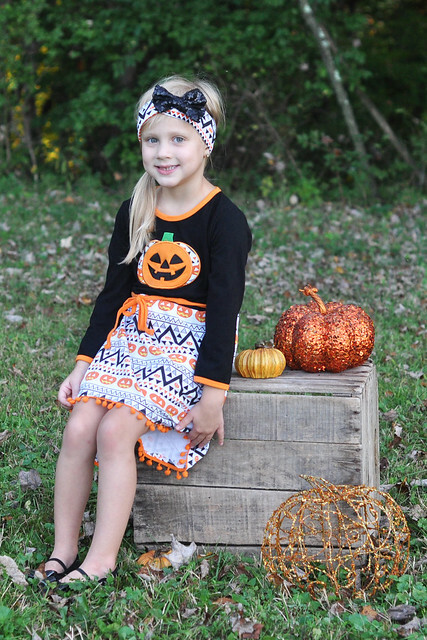 Lily received the Halloween Aztec Print Pumpkin High-Low Pom Pom Dress and the matching Halloween Aztec Pumpkin Print & Black Sequin Bow Headband. Lily is my fancy, dress-loving daughter. 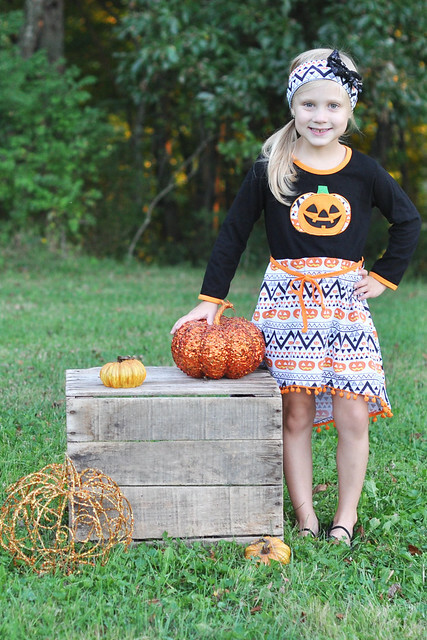 She loved this outfit and couldn't stop talking about the sequin bow on the headband or the pom poms along the hem of the dress! 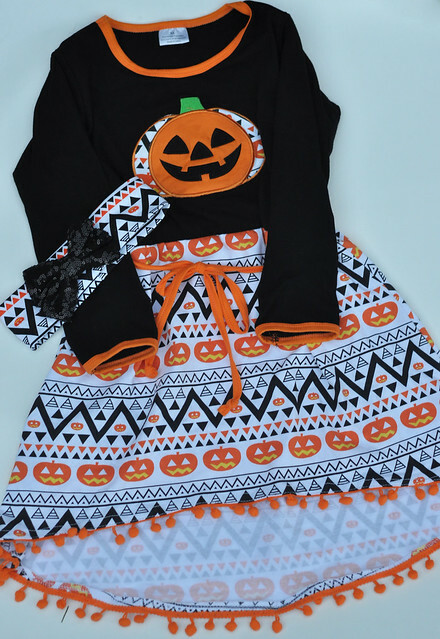 The dress is certainly cute enough by itself but the matching headband just adds to the cuteness of this outfit! It is still hot in Pittsburgh right now but I love the versatility of this dress. It can easily be paired with leggings or tights and a pair of black boots for the cool Fall days that are coming our way! 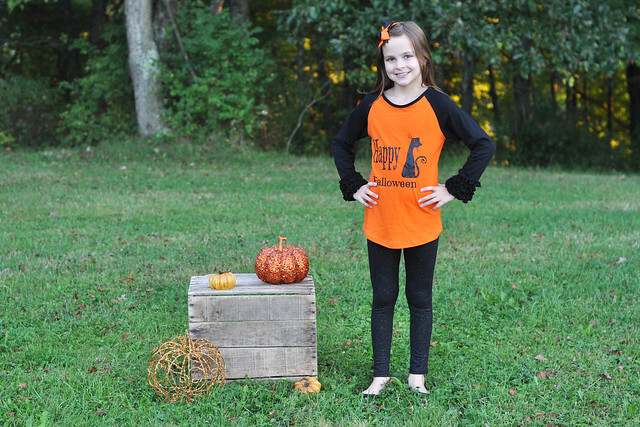 Lexie received the Happy Halloween Black Cat Raglan Tee and the Halloween Orange & Black Knot Hair Bow. I originally told them to just send accessories for Lexie because she's very tall for her age and I was unsure if the clothes would still fit. Krissy assured me that the shirts ran large and sent her one along with a bow. When Lexie pulled the shirt out of the package she audibly gasped. Just the fact that my 9 1/2 year old daughter who is growing up much too quickly was so happy about receiving a special shirt brought tears to my eyes. There really is still a bit of child left in her! And sure enough, the shirt fit perfectly! Actually it's roomy enough that it will probably fit her next year, too! It really is tough finding clothes for Lexie that we both love. Everything in her size is either way too mature for her age or too babyish for her liking. This shirt was the perfect blend of cute and trendy and we both approved! 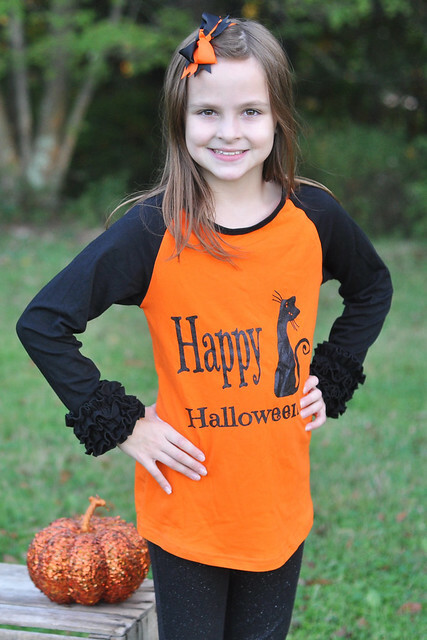 It's different from all the other tween girl Halloween shirts out there and I especially love how the ruffled sleeves fancy it up a bit! This shirt can be paired with leggings, a skirt or jeans. Lexie, of course, opted to go fancy with sparkly leggings! 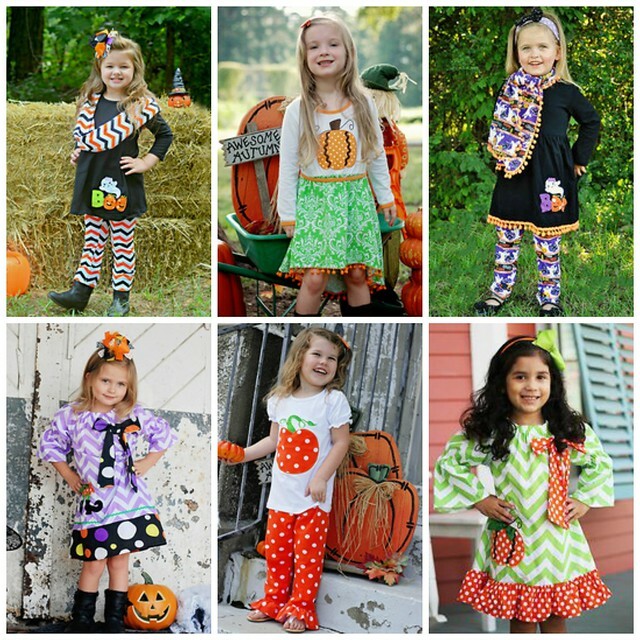 These are just a few of the many adorable Halloween outfits The Hair Bow Company has to offer. I'm definitely going to be doing some shopping! If YOU would like to do some shopping, too, I have a discount code to share! Use the code stefaniespick2016 at checkout to save 15% on clothing items! 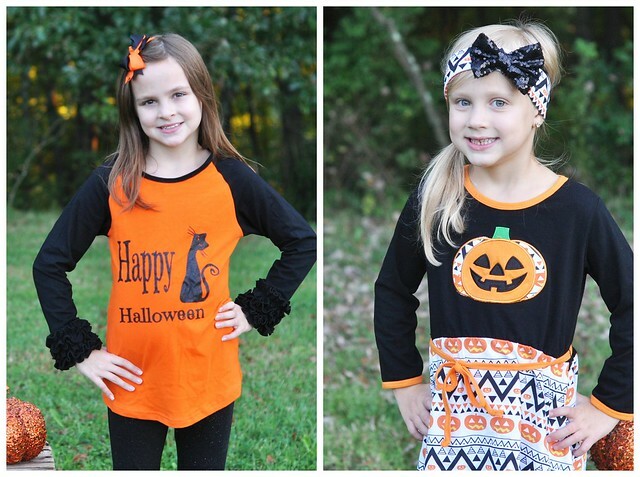 Lexie and Lily will certainly be rocking their Halloween styles from The Hair Bow Company all season long! CONNECT WITH THE HAIR BOW COMPANY! DISCLOSURE: I received items in exchange for my honest review. No other form of compensation was received. Oh my those outfits and bows are just adorable. 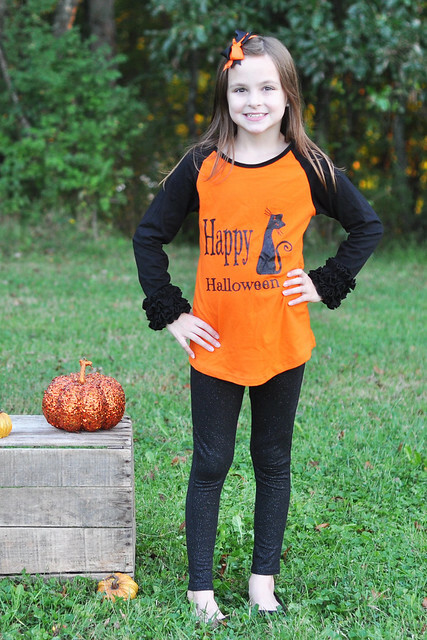 I love seeing fall goodness on kiddos. Such sweet girls you have! Look how adorable they are! I don't want another baby but I want another baby so it can be a girl and I can dress her in all these cute outfits. Boys aren't that much fun when it comes to seasonal attire. SO cute! 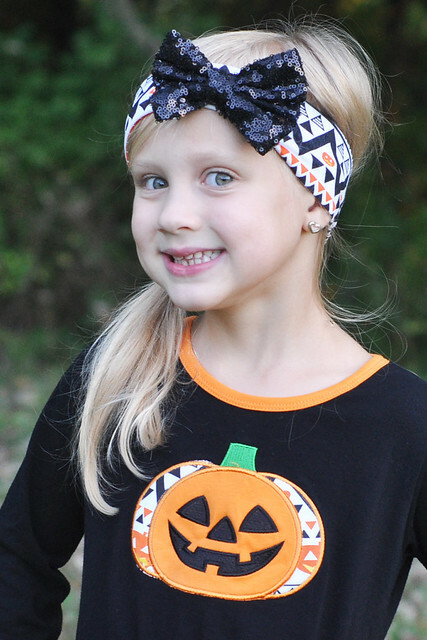 I am swooning over Lily's headband and Lexi's shirt. Love, love, love! These are so adorable!! And ditto to what Beth said!! Love it! So glad the outfits worked for both of your beautiful girls! I love it! 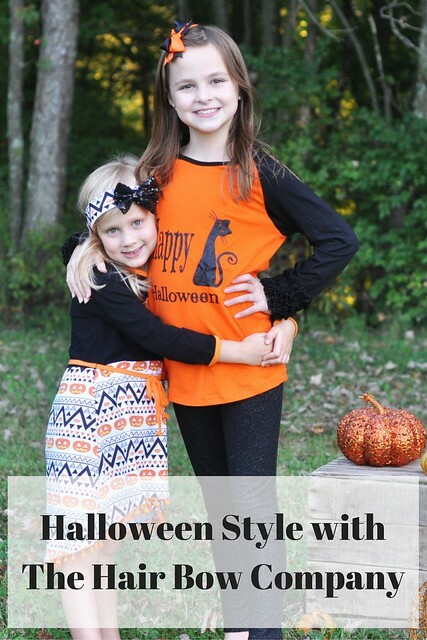 Cutest Halloween outfits & perfect little models! 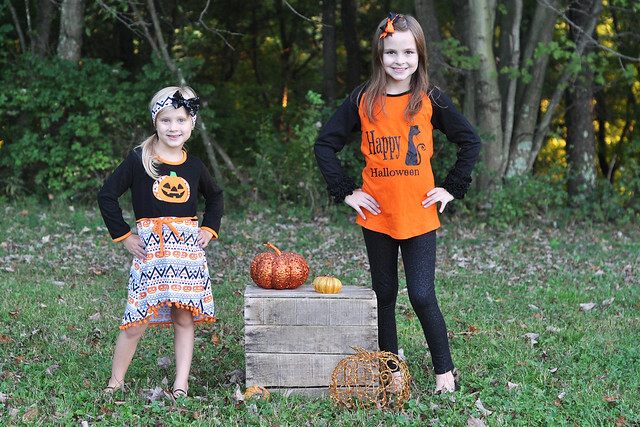 Loving these cute fall outfits! The bows are adorable! How cute are those outfits?! I really love the pom poms on the skirt of that one dress!